Browse our wide selection of Jeep Wrangler TJ Roll Bars and Cages to find the best prices for your Wrangler LJ or TJ. 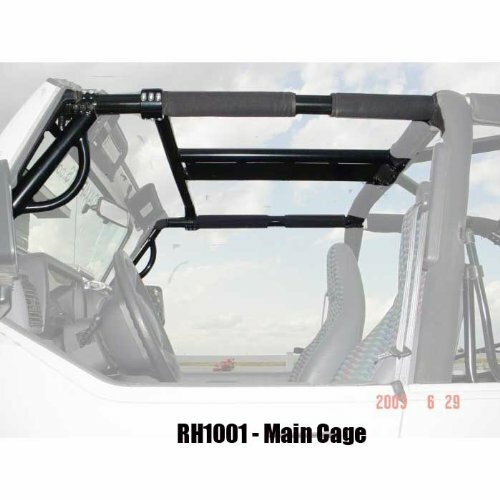 In this category you will find TJ Wrangler Roll Bar and Cage products for the 1997, 1998, 1999, 2000, 2001, 2002, 2003, 2004, 2005 and 2006 Jeep Wranglers. You can either select a product category or use our search box to find specific items in our store. You can use our filtering options to sort by popularity, price or ratings within a category. You will find TJ Jeep Wrangler Roll Bars and Cages in this category like pillar kits, complete cage kits, and reinforced roll bars. Keep your Wrangler safe on the trail with added protection for your TJ. Stock Wranglers are capable off-road vehicles, but they are not made to be pounded into rocks, trees or other obstacles found on the trails. Keep your Jeep safe while protecting yourself and your passengers from different situations that could potentially happen while off-roading. TJ Roll Bars and Cages will not only protect different parts of your Wrangler, but also add a new level of ruggedness and style to your Jeep.